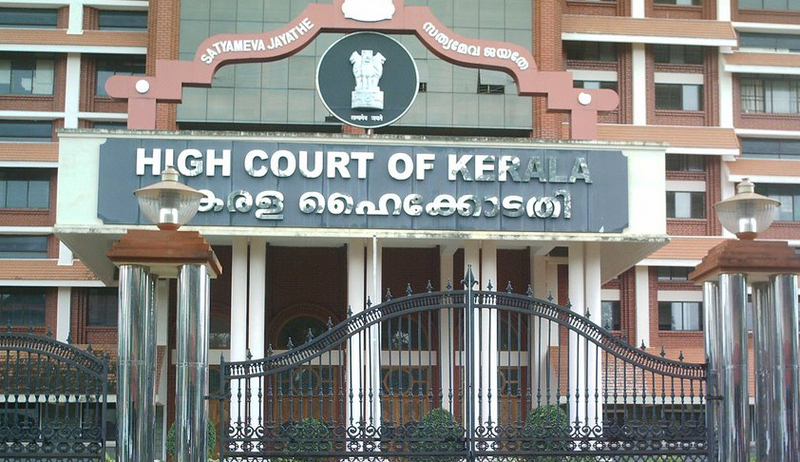 A Division Bench of Kerala High Court consisting of Justice K M Joseph and Justice Jayshankaran Nambiar stayed two sentences from a single Bench order which contains some observations against the Chief Minister of Kerala Mr.Oomman Chandy and his office. Justice Harun Al Rashid while ordering CBI investigation into two land-grabbing cases against accused, including Chief Minister's former gunman Salim Raj, made the following observations against the Chief Minister and his office. The prima facie materials from the fact finding reports tabled by the Revenue Department Officials points to the serious criminal offences as observed in the pleas from the petitioners. There are serious allegations of party respondents colluding and conspiring with Revenue Department Officials in forging and fabricating false documents and records including the concoction of false thandaper for the purpose of defeating the title of the petitioners. The properties are located in two different districts and within the limits of Corporation of Thiruvananthapuram and Cochin. In both cases the allegations are raised against Salim Raj, the Gunman (now under suspension) in the office of theChief Minister and he is described as the gang leader of the landmafia. It is evident from the records that he and his associates have held multiple meetings with the land owners and had pressurised them to part with the land. There are also complaints in the Kadakampally case that the gunman had threatened the petitioners with dire consequences if they denied the demands. Moreover, the same team is involved in both incidents and the method of operation is also same. It has also been submitted that a criminal case has been registered by the Chevayoor Police (Kozhikode) against Salim Raj in 2013 in connection with a kidnapping case. The learned counsel for the petitioners also submits that other personal staff of the Chief Minister is involved in a cheating case popularly known as 'Saritha's case' and that another personal staff is under suspension for similar reasons. All the incidents observed above have evoked shock and surprise among the people of Kerala. The alleged involvement of the members of the personal staff of the Chief Minister's office in criminal acts has come to the attention of this Court at multiple instances. The above incidents show that the authorities at the helm of affairs of the administration in the State have not been prudent and responsible in appointing personal staff with integrity and character. The Chief Minister's office should be a model institution serving the people of the State. The above incidents have raised serious questions on the functioning of the Chief Minister's office for which the Chief Minister is answerable to the State. Prima facie evidence of the presence of unscrupulous elements among the personal staff in the Chief Minister's Office and the associated criminal activities in these cases call for a thorough and independent investigation into the crime and the associated activities involving personal staff in the Chief Minister's Office. The state government had filed the appeal against the order dated 28.03.2014 in W.P(C) No; 19431/2013 seeking to expunge the remarks. The Division Bench stayed above two sentences and posted the matter for hearing after summer vacation. However, the Division Bench made it clear that the interim order will not in any manner affect the single judge's order for CBI investigation. According to the PTI report “Advocate General K P Dandapani, who appeared for the state, was asked by the bench if the Chief Minister was aggrieved and if so, he had to file an appeal. In reply, the AG said Chief Minister was not a party in the case. The bench then asked "if chief minister was not a party and he was not heard, how the government was aggrieved?" AG said, "There are no allegations against the Chief Minister in the petitions. The observations affect the state." When one of the petitioners pointed to newspaper reports about some personal allegations against the single judge, who delivered the judgement, the bench replied, "We are not fragile and such allegations will not affect the court." "Personal views cannot be translated into our order," the court held.